It’s not hard to spot players of the most popular smartphone game of all time. 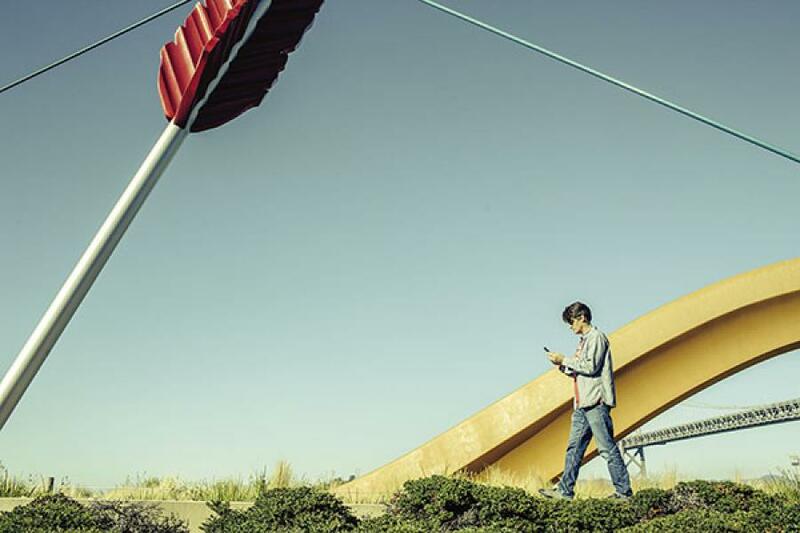 They have a peculiar way of carrying their devices in front of them with one hand, says John Hanke, the technology whiz behind Pokémon Go, as we stroll along the waterfront of San Diego’s Seaport Village the day before his appearance in front of 7,000 fans at Comic-Con. Since its July launch Pokémon Go, a free “augmented reality” game by Niantic Labs in which players capture virtual characters mapped to real-world locations, has piled up superlatives. Apple said the game had more downloads in its first week than any other app in history. One in 10 Americans plays Pokémon Go daily, according to App Annie, and SurveyMonkey estimates that the game is hauling in as much as $6 million a day from in-app purchases in the US alone (the game is available in 37 countries). Beyond the numbers, Hillary Clinton has invoked the game on the campaign trail, Justin Bieber has gone Poké-hunting in Central Park, and a reporter was publicly chided for playing it at a State Department briefing. It almost didn’t happen. Just 12 months ago Hanke was an increasingly restless Google employee (he launched Google Earth, among other things) and his company, Niantic, was an overlooked gaming skunkworks lost in the search giant. As Google reorganised itself into Alphabet, Niantic looked likely to be rolled back into the company’s Android division or simply shut down. But Google had the wisdom to let Hanke seek outside investors and spin the company out. That paved the way for Hanke to approach Nintendo and the Pokémon Co, which oversees the brand’s intellectual property, and make the smartest mobile-gaming deal of all time. For Google the arrangement has worked out in spades. Google owns just under 30 percent of Niantic, whose game might hit $5 billion in annual revenue, according to a Macquarie Group analyst. “If Google kept it all to themselves, I’m not sure you would have Pokémon Go, at least not at the speed at which we got it,” says Gilman Louie, a Niantic board member. After starting and selling another gaming firm in 2000, Hanke co-founded Keyhole, a geospatial software firm that provided users with satellite imagery of any locale on Earth. That technology caught the eye of Google co-founder Sergey Brin, who was infatuated with maps. In one meeting with Google CEO Eric Schmidt and other executives, Brin began using Keyhole to zoom in on the backyards of the people in the room while advocating for the acquisition of the startup. In October 2004 Google, which had just gone public, purchased Keyhole for about $35 million in stock. Hanke thought he’d stay at Google only for a matter of months, but he remained for more than a decade as one of the two heads of the company’s geo team. In his time there he oversaw the 2005 launch of Google Earth, negotiated the placement of Google Maps on the original iPhone with Steve Jobs and built Maps into Google’s second-largest product by traffic, behind search. But by 2010 Hanke wanted out and hoped to reignite his passion by exploring the possibility of combining maps with gaming. Persuaded to stay at the company by Google’s other co-founder, Larry Page, he was given personnel and resources to create a secret gaming division within Google’s San Francisco office. Hanke named his company Niantic Labs, after a ship that had taken miners to the Bay Area during the 1849 gold rush. After dabbling in an augmented-reality product that allowed users to learn about city landmarks via mobile devices and the ill-fated Google Glass, Niantic released Ingress in late 2013. It was Hanke’s first attempt at a location-based game and allowed players on two teams to claim certain locations around the world using their phones. Although it gained traction with serious gamers, Ingress was not considered a breakthrough inside Google. 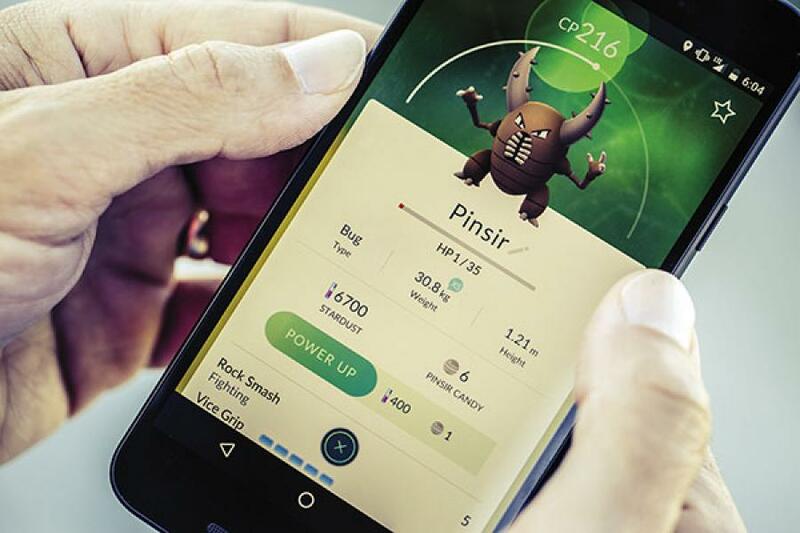 By the spring of 2014 Niantic CEO Hanke was dreaming of applying location-based gaming to a well-established intellectual property that would entice more users. Both Mario and Donkey Kong were considered, but one name that kept coming up was Pokémon, a franchise that hit Millennials hard in the late 1990s with videogames, trading cards, movies and a television cartoon. As of May 2016 Pokémon products had grossed $45 billion in lifetime sales. Meanwhile, back in Silicon Valley Niantic’s position within Google had become tenuous. As the company decided how to reorganise itself into Alphabet, Google’s leaders wondered what to do with the “dangling chad” of Hanke’s group. There was talk of rolling the company into the Android group, though the idea of falling back into the bureaucracy of Google’s massive organisation had little appeal to Hanke. Instead, he broached the possibility of a spinoff and was given permission to go out and seek funding for an independent company. He met with several venture capital firms—among them Andreessen Horowitz and Kleiner Perkins Caufield & Byers—though all balked at the company’s valuation of around $150 million. One investor from those meetings recalls that Hanke discussed only Ingress and made no mention of the upcoming Pokémon title. Eventually Hanke was able to cobble together a $35 million round at an even higher valuation (around $175 million) from Google, Nintendo, the Pokémon Co and angel investors—no big VCs invested. In defense of those that passed, Pokémon Go is barely a month old and history has not favoured mobile-game makers like Zynga (Farmville) and King.com (Candy Crush), which serve as a warning to any viral-game maker. At this point Hanke is just trying to keep the servers running. With bags under his eyes, he’s had little time to do much of anything else, not even play his own game. What level is he at? “I’m, like, level 5,” he says sheepishly.